Tommy Ryman grew up with a new-age, folksinging mother and a traditional, Lutheran insurance-agent father. This XY equation evidently equals: acclaimed comedian. Ryman has earned the title of Semifinalist on NBC’s Last Comic Standing. Roseanne Barr, a professed fan, raves she has “never seen anything like [Tommy] before in [her] whole life, [he is] one-of-a-kind, fantastic!” Ryman’s act can be described as absurdist and clever, masked behind a very likable and innocent demeanor, often thought of as disturbingly adorable. 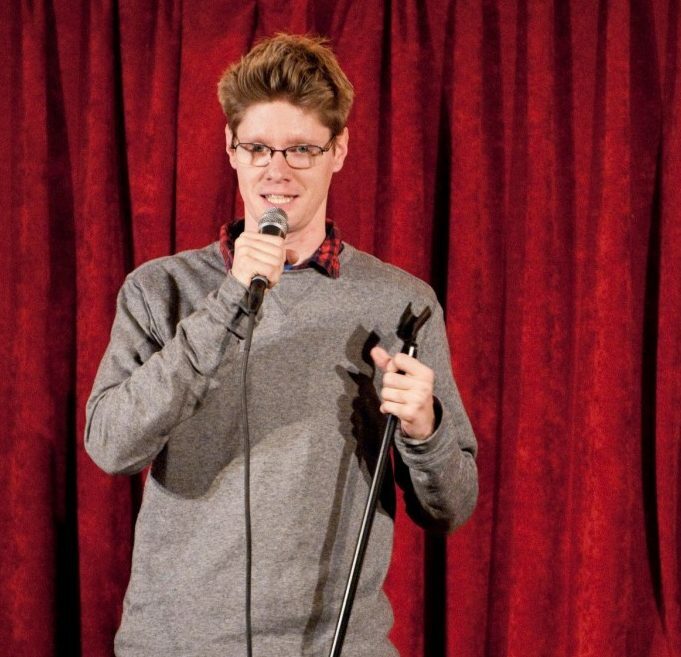 He is a favorite among audiences at top clubs and colleges around the nation, and he is regularly featured on Rooftop Comedy, SiriusXM, and iheartradio. Early in his career, Ryman was sought out by some of the nation’s top comedians opening for the likes of Louie Anderson, Maria Bamford, and Nick Swardson. He was invited to perform at the prestigious Great American Comedy Festival at the Johnny Carson Theater, and was featured as one of the “Twin Cities’ Funniest People” by Metro Magazine. Ryman is signed to StandUp! Records and assures audiences that his comedy album Bath Time with Tommy Ryman has a tasteful album cover. Tickets are $15 in advance or $20 at the door (subject to availability–limited seating) and can be purchased at the New York Mills Library or the Cultural Center. This event is held at the Cultural Center. Call the Center at (218) 385-3339 or the Library at (218) 385-2436 for more information. This performance in presented in conjunction with the Friends of the New York Mills Library.